Note: Election season has officially begun. In less than one year, residents of District 1 will have the opportunity to vote in the San Diego City Council primary election (March 3, 2020). Five candidates have already filed to run, and La Jolla Light will bring you an interview with each one in the coming weeks (and as they file). District 1 includes La Jolla, Carmel Valley, Del Mar Mesa, Pacific Highlands Ranch, Torrey Hills, Torrey Pines and University City. La Jolla Democrat, community volunteer and civil engineer Joe LaCava is making another run for a San Diego City Council seat to represent his hometown in District 1. He ran in 2015 ahead of the 2016 election, but withdrew to support fellow Democrat Barbara Bry. He filed for his 2020 candidacy in late January. And LaCava, the father of two grown daughters and husband to Bird Rock Elementary School teacher Lorene LaCava, has spent the years since his last political endeavor familiarizing himself with citywide issues that could have a trickle-down impact on District 1. He served as a trustee of the La Jolla Community Planning Association and San Diego Community Planners Committee; sat on the board of Build Better San Diego and Housing You Matters to learn more from both sides of the building sector in San Diego; advocated against the Soccer City initiative; and worked with SANDAG to inform people about the Regional Transportation Plan update. He added that he’s looking at how the City handles broader issues, and ways these issues can be improved for all communities, especially those in District 1. Other areas on which he’s been focusing, and would take to City Hall if elected, include constituent services and increasing community engagement; improving public safety and looking at staffing different emergency departments; protecting open spaces from encroachment and damage; and advancing the City’s Climate Action Plan, which he said he sees as the “law of our land” and thinks every decision the Council makes should be to further the Climate Action Plan. For the next year leading up to the March 3, 2020 primary, LaCava said he will be on a “listening tour” of other communities within District 1. “I have a pretty broad background on La Jolla issues and citywide issues, but there are a lot of neighborhood issues that I don’t understand yet. I’ve been out talking to people about the things that are happening in the each of the neighborhoods in District 1 and the things that affect them … having a dialogue with residents,” he said. 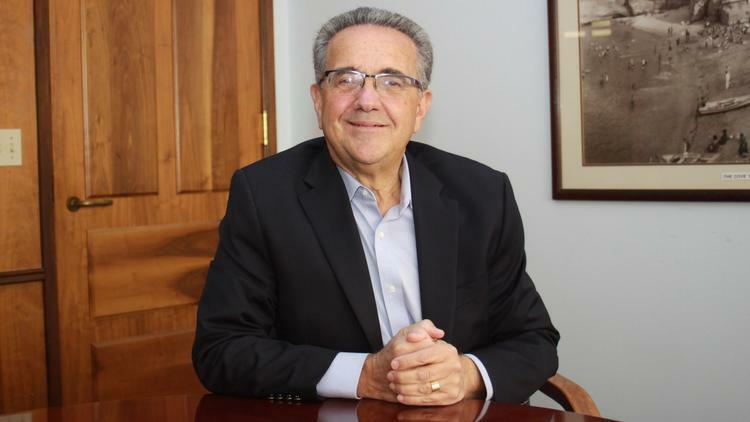 Should he be elected, LaCava said his overarching goals would be to re-prioritize City policy and budgeting for “the things I think are being neglected,” and fortifying the relationship between the City Council and the Mayor to “get things done” during his term. “This is a great time to be on the City Council … I think the strong-Mayor form of government is not really working right now because we have a Mayor who is wielding his power in the wrong direction — and not in a productive direction. But by all accounts, we are going to have a Democratic Mayor (in 2020) and at least preserve — if not increase — the majority of Democrats on the City Council, and I am looking forward to a strong relationship between the Mayor and the City Council. — Next week: Read about the background and priorities of District 1 City Council candidate Louis Rodolico of University City. Posted in News on March 7, 2019 by PHR Web Admin.